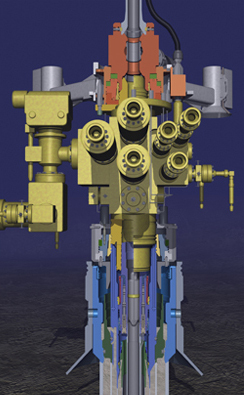 The Dril-Thru Completion System is a unique mudline suspension system designed to accept subsea tubing hangers and subsea completion trees without the use of adapters. This system simplifies the operations when it is known in advance that the well will be completed with a subsea tree. The system design lends itself to greater structural integrity and pressure containing capabilities.